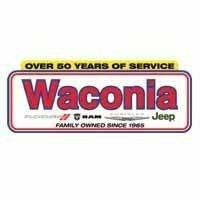 Waconia Dodge Chrysler Jeep has been a BBB Accredited business since December 2005. This means it supports BBB’s services to the public and meets our BBB Accreditation Standards. Decide what you can afford, want, and need. A car is one of the most important and costly purchases you may make. By preparing yourself before you start shopping for a car, you can make the buying process much easier. Besides helping you decide what is best for you, your research and preparation will help you get the best deal. Some people may have saved enough money to be able to pay cash for a new car. Others must finance the purchase. Take a careful look at your budget to determine how much you can afford to spend as a down payment on a new car and how much you can spend on monthly payments. Once you have decided on your price range, decide what type of car you want and need. When making this decision, consider how many passengers will be riding in the vehicle and the kind of driving you do. While a sports coupe might be just what you need to get back and forth to work, a larger vehicle may be in order if you need the car to shuttle children to and from various activities. Once you decide on the type of car you need, it is time to do your research to narrow down the choices. Publications like Consumer Reports give unbiased information on reliability of current models. You can also find up-to-date car buying information at your local library. Ask friends what they like and dislike about their cars. Compare such areas as safety, reliability, fuel economy, warranties, operating costs, theft rates, general features, and options when making your decision. Consider the safety features offered in a car. The number and locations of air bags varies by vehicle. Air bags automatically inflate on impact to provide a cushion. Anti-lock brakes keep the wheels from locking up and skidding out of control when the driver slams on the brakes suddenly, or hits a slick spot in the road. Other optional safety features include built-in child safety seats and traction control. Also, consider whether the car has good outward visibility, and whether or not the gauges on the instrument panel are easy to read. The U.S. Department of Transportation runs a crash test program, comparing how well each vehicle protects the driver and front-seat passenger in a frontal crash, at a speed of 35 mph. The results of these tests can be used to compare cars within weight classes. You can find out about a car’s accident history using data collected by the Highway Loss Data Institute in Arlington, Virginia. The ratings are based on the frequency of medical claims filed for specific car models and makes. A number of sources compare maintenance costs on vehicles and have compiled information about repairs that are likely with particular models. Information is also available on the number of complaints filed about particular cars. Remember that if you buy a “lemon” that needs constant repairs, you may be protected by “lemon laws” in your state. The car manufacturer may be required to refund your money or repair the vehicle. Maintain a file of every repair order, receipt, and letter of complaint. Mandated by federal law, fuel economy has improved over the years. The average fuel economy is now more than 28 miles per gallon. Federal law requires an Environmental Protection Agency label to be placed on the window of every new car, listing average fuel economy for city and highway driving according to EPA tests. The ratings are intended to be a comparison between models. Depending on how and where you drive, your actual mileage may not match the estimates. Compare each car’s warranty coverage, which may vary widely among car manufacturers. Consider the length of the warranty, mileage limits, and deductibles. Some cars have basic warranties which cover the entire vehicle, while others have limited warranties. A number of publications offer estimates on what it costs to operate a car in a year’s time. These costs vary greatly from one model to another, with luxury cars costing more than economy cars. The factors included in operating costs are fuel, oil, maintenance, and tires. Other costs associated with ownership, which also vary greatly, are insurance, depreciation, taxes, and licensing. Anyone is susceptible to car theft, but certain cars are more popular with thieves. The primary reason for considering the theft factor is the higher cost of your insurance. The Highway Loss Data Institute compiles data on car thefts, which can be useful in making a decision about buying a car. Insurance is higher for those cars with higher risks of being stolen. Consider your particular needs when analyzing different vehicles. For instance, if you need a lot of trunk space for hauling groceries, baseball equipment, or boxes of supplies for your office, choose models with larger trunks. Will others be riding in your back seat? You may want to choose a four-door model over a two-door one. What size engine do you need? Smaller engines may give better fuel economy, but larger engines may give better performance. When looking at different types and models of cars, consider the standard features. All the cars of a particular make and model come with a standard package of features. Optional features usually add costs to the car. Some models have more standard features than others. For instance, some models include anti-lock brakes as a standard feature; in others, they may be optional or may not be available at all. Numerous options are available for cars, in any number of different packages, or they can be ordered separately. One option may be so important to you that it determines the type of car you buy. Publications can help you compare the cost of different options. Weigh the cost of these options with their usefulness. Add up the options to determine generally how much they will cost you. Publications can also help you evaluate the different options that are available, and point out details that are important to you. Many car makers offer “option packages,” which include popular options, such as air conditioning and power windows, but also may include some features you may not want or need. To get the option you do want, you may have to buy those you do not want. Decide ahead of time what features you want in a car to avoid being swayed by package deals which may add to the price but not to the car’s usefulness. Consider your needs. Air conditioning may be necessary for your situation and climate. If you do a great deal of long-distance driving, you may want cruise control. Consider what items contribute to the resale value of the car. Items which may enhance the value of a used car include: air conditioning, automatic transmission, power steering, a powerful engine, anti-lock brakes, driver-side air bag, passenger-side air bag, four-wheel drive, traction control, cassette/AM/FM stereo, cruise control, power windows, power door locks, remote-adjustable mirrors, sunroof, tilt steering column, and alloy wheels. Do not narrow your choice to just one car — choose three or four that suit your needs and your wallet. One of the biggest mistakes new car shoppers make is being so set on buying a certain type of car that they lose the power of negotiation. A number of cars are “twins;” they have the same engine and chassis but different names and styling. One model may be less expensive or offer more standard features than its twin. By narrowing the choice to several, you maintain your bargaining power. Thus, if you are not able to get the car you want at the right price, you can negotiate on another car. You can make a much wiser decision about purchasing a car if you do your homework first. Ask friends who have recently bought cars about their experience with local dealerships. Ask them about their impressions of the salespeople, the service department, and the management. Call your local Better Business Bureau and ask for a reliability report on the dealership and how many, if any, complaints have been received about the dealership and how the complaints were resolved. If you want to avoid the hassle of negotiating, consider a car buying service. You tell the service what model car you want, what options you want, and the service will negotiate with dealers for you. Professional car shoppers may charge a flat fee or, in some cases, charge a percentage of the money saved off the sticker price. If you choose a buying service that negotiates the price, select one that negotiates with several dealers. Auto clubs, insurance companies, employers, or others may offer membership-based buying services, sometimes at no charge for membership. Buying services do not help you decide which car to buy; they help you get the best price they can on a car you have chosen. They do not guarantee the lowest possible price. To determine ahead how much negotiating room you have on basic cars and extra options, draw up a work sheet for each type of car you are considering. Using updated price lists available from a number of sources, write down the dealer’s cost and list price (also called sticker price), for the particular make, model, and trim line. For each car, list the options you want, describing them with the invoice number. Also, write down the dealer’s cost and the list price. Look up the destination charges for the car, and include this in both the dealer’s cost and the list price, since there is no markup. The destination charge is the cost the dealer pays to get the vehicle to the dealership. Now compare the dealer’s cost and the list price for the car. The difference is your negotiating room. Do the same thing with each of the options. You may be able to negotiate on individual options. Now that you are ready to visit a showroom, it is time to test drive the cars that interest you. Too many buyers forget this critical step. Only by taking a test drive can you determine if the car suits your needs and tastes and has good visibility in every direction, an important safety consideration. If your spouse or someone else will also be driving the car, take them with you to the showroom so they can do a test drive, too. Visibility. Can you see the end of the hood and the trunk? Does any part of the car block your vision? Can you easily see all the mirrors? Safety features. Check for manual or automatic seat belts, air bags, anti-lock brakes, and child safety locks. Steering wheel placement. Are you comfortable behind the wheel? Is it easy to adjust the steering wheel, the seat, and mirrors? Entry/exit. Is it easy to get in and out of the car from each position? Seating. Does each passenger have plenty of head and leg room? Check rear seats, too. Fasten the safety belt in each position. Each belt should fit snugly across the hips; shoulder harnesses should ride comfortably across the shoulder. Instrument panel and controls. While driving, can you quickly and easily check the speedometer and fuel gauge? Try the windshield wipers, lights, turn signals and other functions to see how easy they are to operate. Check the climate controls. Trunk. Is there enough space in the trunk or cargo area? Is it easy to get to the spare tire? Engine. Does it accelerate smoothly? Does it have enough “passing power?” Slow down and speed up a few times to check out the responsiveness of the engine. Does the engine idle smoothly, or does it appear to race? Transmission. If the car has an automatic transmission, does it shift smoothly between speeds, without jolting? If it is a manual, check the feel of the clutch, and the ease of shifting gears. Ride. Is the ride smooth? Does it offer responsive handling that makes you feel comfortable in all road conditions? Parking. Does your car maneuver easily into a parking space? Does the steering wheel turn easily? Parallel park the car. Does any part of the car obstruct your view? Braking. Take the car out to a stretch of empty road, accelerate to about 40 mph and make an emergency stop. Does the car stop in a straight line without pulling to one side? Do the brakes lock up? Steering/handling. When your grip is relaxed on the steering wheel, does the car drift? At highway speeds, does the steering wheel provide a firm feel of the road? Is the car stable when you turn corners? Noise levels. With windows closed, listen to the noise level. Listen for engine noises when accelerating. At lower speeds, listen for road noises and tire sounds. At highway speeds, listen for wind whistling outside the windows. Exterior. Is the car’s finish glossy and even? Check for evenly aligned body panels and secure trim. There are different negotiating steps in the showroom: getting the best price on a particular car; selling or trading in the car you now own; considering warranties and other extras; and arranging financing. When you are in a car dealership, it is important to keep each of these stages separate. Negotiating at each stage should be done separately so you will know exactly how much the car is costing you. Remember to take your list of comparison prices of different cars so you will know how much negotiating room you will have. First, concentrate on the price of the car. Do not talk price until you are ready to buy. Tell the salesperson exactly what car and options you would like, and ask for the best price. If the salesperson starts to talk about warranties, trade-ins, or financing, tell him or her that you will discuss that later, after you have agreed on the price of the car. Insist on a bottom-line price for the car you would like. It is imperative to check with several dealers. Once you receive a price for the car, leave the showroom and visit another dealer. If you are unable to get a satisfactory price for your first choice of car, switch to another model. Prices shown on the window sticker of the car — the list prices — may be 10 to 15 percent higher than what the dealer paid. In some cases, you might be able to get a price that’s $150 to $300 over the dealer’s cost for mid-sized cars in good supply. Sometimes $500 over cost is a good deal, but you will not know until you shop around. You may be less likely to get a good price on a more popular car that is in short supply. You may be able to get a better deal from a car already in stock, because the longer a car sits on the lot, the more expensive it is for the dealer. These cars may have expensive options that you neither need nor want. Ask the dealer to remove the option — and reduce the cost — or sell you the car without charging for the option. In some cases, you might get a better deal by ordering your car. Salespersons might agree to accept a fixed amount over invoice because it is a sure sale and the dealership has not invested in the car. Timing may make a difference in negotiating. Try to wait at least a few months after the new models come off the assembly line. Also, the busiest car buying season is spring and summer; you might have more success getting a lower price in December or January. Find out the value of your car by checking the National Automobile Dealers Association (NADA) “Blue Book” at your local library or your bank. If you do decide to trade in your car at the dealership, discuss its value after you have negotiated the best price for your new car. Keeping the process separate means that you know exactly what you paid for your new car. Otherwise, the good deal you get for your new car could be spoiled by the low price you get for your old car. Warranties. Your new car comes with a warranty, which is a detailed document. Take the time to read and understand it. It is the manufacturer’s promise that the car will perform as it should. Also, check with your state attorney general’s office to find out about warranties that are implied by law. Service Contracts. Compare your warranty closely with the dealer’s extra-cost service contract to check for duplication. Unless the service contract offers free scheduled maintenance or other services, it may not be economical to have a service contract while the warranty is in effect. If you decide to buy a service contract, do some comparison shopping. Buying a service contract through an insurance company, for instance, may save you up to 50 percent on the cost. Find out which company is responsible for the contract, and contact your Better Business Bureau and office of consumer affairs to check their reputation. Make sure you know exactly what the contract covers, and the length of time it will be in effect. Also ask how the repair bills will be paid. Will the company pay the bill directly? Or will you be required to submit the bill for reimbursement? Where can the car be serviced? If you are away from home, can you take the car to any mechanic? What if you move? What other costs, such as deductibles, are to be expected? Extras. The dealer may offer you extras such as rustproofing, fabric protection, and paint sealant. Make sure you weigh the added expense for such items against their necessity. Fees. Dealer preparation fees which are fees for cleaning the car before you pick it up, may also be charged. Check the window sticker of the car. If the fine print reads, “Total vehicle price includes manufacturer’s recommended pre-delivery service,” or “Manufacturer’s suggested retail price of this model includes dealer preparation,” the preparation fees have already been charged. A document preparation fee may also be charged. Remember, this may not be a mandatory fee and may be considered part of the negotiable final price. In deciding on a lending agency from which to borrow money to finance your car, you should obtain quotes from a number of agencies about their percentage rates and the total cost of the loan. Car dealers may also offer financing plans. Carefully compare these plans with others you may be considering. Try to keep the length of the loan as short as possible. A three-year loan with the same rate of interest costs you less overall than a four or five year loan. While you need to keep the payment within your budget each month, you also need to look at your total cost. Check with credit unions, associations, auto clubs, banks, or insurance companies to compare their interest rates and the total cost of loans. Ask if you will have to pay any fees if you payoff the loan early. Do not sign a contract before reading it very carefully and understanding all its provisions. If a clause concerns you, ask to have it explained, or if necessary, changed. Double check all the figures to make sure they coincide with what you have agreed upon. Consider getting pre-approval for a loan once you have chosen your lending agency. Some agencies will issue you a check “not to exceed” your pre-approved amount, allowing you to use the check like cash when you go car shopping. Before you drive away from the dealership in your new car, take a few minutes to carefully inspect it. Check over the exterior of the car for any damage, such as “dings” or scratches. Make sure the spare tire and equipment are where they should be, and that the tire is inflated to manufacturer specifications. Make sure all the hubcaps and body moldings are in place. Make sure all electrical items function properly. Check the Vehicle Identification Number on the car to ensure it matches the one on the contract. Ask the salesperson to demonstrate each accessory — such as setting the clock or turning on the bright lights. Also ask how to check the oil, coolant, transmission fluid, and battery. Make sure you have the owner’s manual, warranty forms, and all legal documents. Decide how much money you can spend and what type of car best suits your needs. Research the various models to determine those that are the safest, most reliable, and otherwise suitable. Narrow your choices to several cars. Do not make the mistake of having your heart set on one car — it may reduce your bargaining power. Obtain updated price lists to compare dealer costs with prices listed on the window sticker. You will know how much bargaining room you have on the basic car and individual options. Get a firm quote, in writing, from the dealer. Shop around at several dealerships. Check out their reliability with the local Better Business Bureau. Keep all negotiations separate. Consider questions about financing, service contracts, trade-ins, or other extras after you have settled on a price. If negotiating over prices bothers you, consider a car-buying service. Shop around for financing and service contracts, and compare the terms carefully. Test drive the car before purchasing it. Read and understand the contract thoroughly before signing. Inspect your new car carefully before driving off the car lot.